Munnar is a small hill station nestled at the Kannan Devan hills. Munnar is well-known for its emerald green landscape, tranquil lakes, huge reservoirs, and dense forests. Situated at a height of 1600 meters above sea level, Munnar is ideal for paragliding. 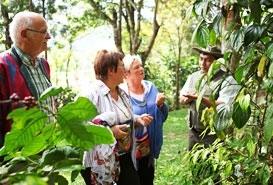 Besides, Munnar is famous for its spice plantations and tea estates. Popularly known as the tea town of Kerala, Munnar is home to some of the highest tea estates in the world. 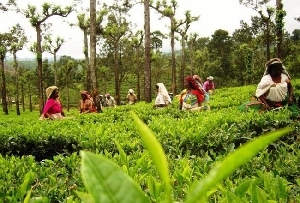 Munnar was developed to cultivate tea plants during the British rule of India. The territory of Munnar is almost entirely occupied by the sprawling tea estates and thick forest cover. The spice plantation in Munnar and the tea estates are prime attractions of this picturesque land. The sprawling plantations of tea and spices make Munnar a place worth visiting while on a Kerala Tour. You can go for nature walks, bird watching treks, taste the various spices and breathe in the fragrant air while exploring the spice plantation in Munnar. The major varieties of spices cultivated in the spice plantation of Munnar are ginger, garlic, cardamom, vanilla, pepper, cinnamon, coffee, tea, clove and nutmeg. Pick up a few packets of the tea and spices grown here that make for a good buy.